The ASE TeachMeets are always good fun and a great way to share ideas with colleagues. At a recent event, Sarah had everyone making jumping beans - of all sizes! 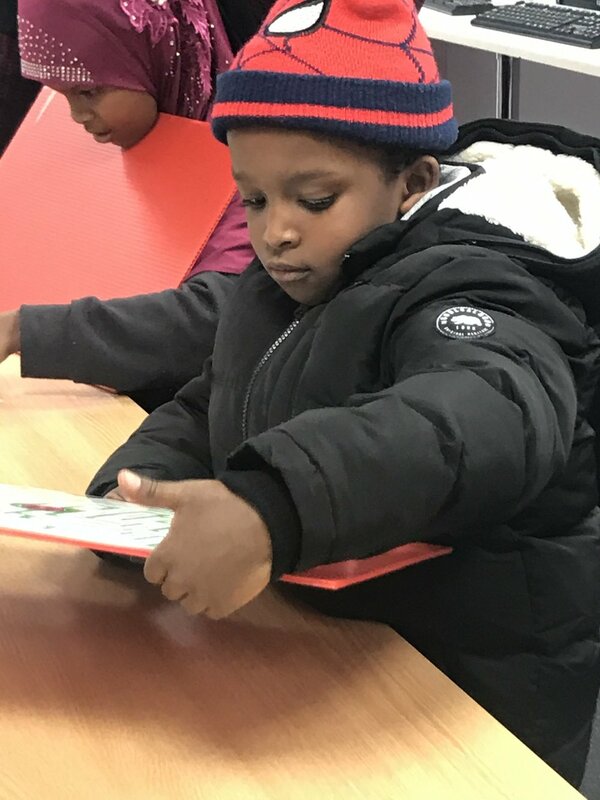 Sarah worked with Leicester University researchers to provide a series of fun activities that helped members of the Somali Community Parents Association to understand more about magnetism in space. The day was a great success. Nearly 200 people came to the family Sphere Science Shows that were held in Tring to mark the beginning of National Science Week. Everyone enjoyed it. Sarah will be presenting the Sphere Science Show in Tring on 9th March. Fun for all the family! We had a great time at the ASE’s Annual Conference with a record number of contacts made at our stand and a great number of people at our three talks. Here are delegates enjoying activities at our “Space Science” talk. As always, we’ll be there (stand A20) with lots of science activities for you to try out. Hands-on ideas for developing pupils’ thinking and working scientifically. And we’re giving three talks: Modelling space science, Chemistry in the primary classroom, Practical fun delivering the curriculum. 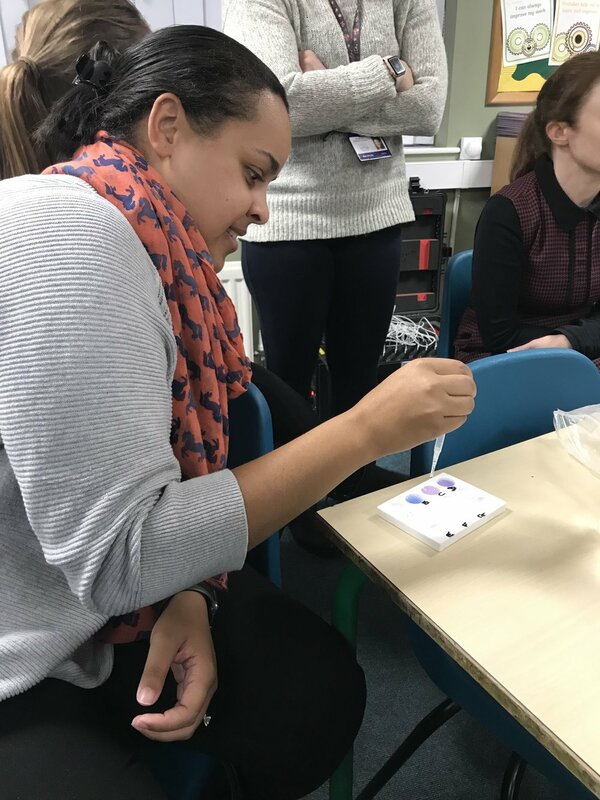 Acidic oceans, floating grapes and jumping beans were all challenges forming part of the recent Inset Sarah gave as part of the Polar Exploration Programme. This initiative enables schools to enhance their STEM provision in the context of research happening in the polar regions. Sarah provided one of the sessions at the recent teachers’ conference organised by Herts for Learning. The participants were very enthusiastic and learned a lot. Here you can see them finding how many marbles a paper raft can hold. We provided many hands-on activities for Urenco’s family day recently. One of the most popular items was the “Giant Steady-Hand Game”. Here you can see some of the staff having a go between sessions while it was quiet. Chamboree, the international Scout and Guide camp in Cheshire, is where Martin had 500 Explorer Scouts and Ranger Guides investigating hoopsters. 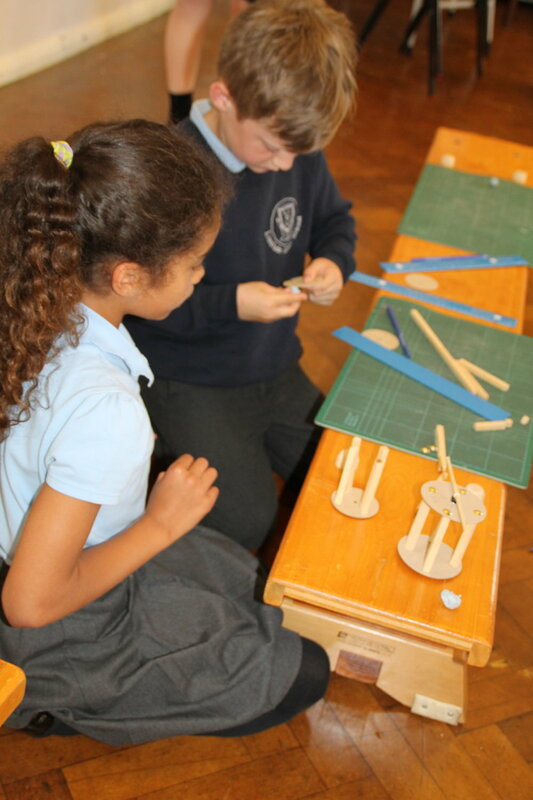 The hard-working youngsters created some inventive designs which produced some amazing results! Monteagle School in Dagenham recently celebrated their science week by inviting Martin and Sarah in to provide practical workshops and shows for every class. 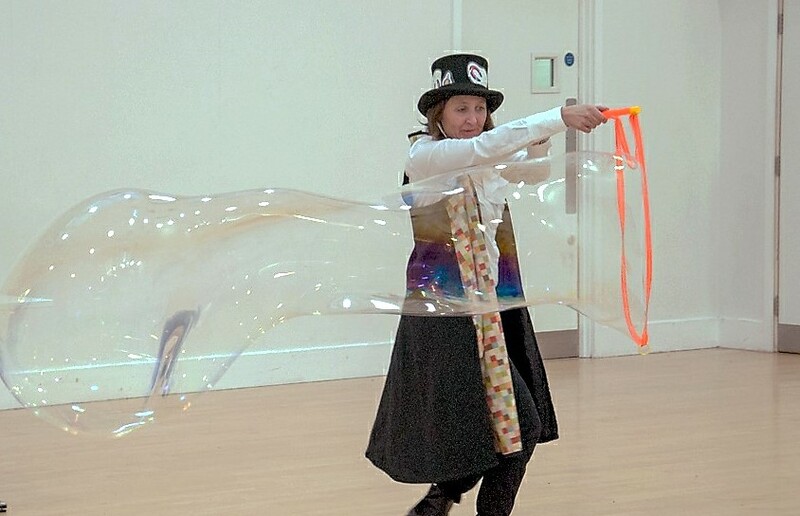 Here you can see Sarah having fun with bubbles and a Nursery class. Their science coordinator said, "Our Friday ‘celebration’ assembly was devoted to science and children from each year group took the opportunity to explain what they had been up to. The children had obviously enjoyed a brilliant week, and Sphere Science was a huge factor in that!" Linslade Lower School invited Sarah in to provide our "Rollers" workshop as part of their STEM week. KS1 pupils in Leicester had a very exciting time earning about electricity recently. The photographs shows a "Happy Face" which enabled them to find out which materials conduct (and made the 'eyes' light up) and which didn't. Once again this year we had five family chemistry experiments at our Saturday stand. Around 2000 people had fun investigating: pop tubs, paper marbling, chromatograms, citrus fruits, and the acidity of household substances. And on the Friday we met school students who discovered some surprising physics, especially the zoetropes and the milkman’s wallet. Half-term was very busy for us - providing two days off fun science activities for the Bright Science Festival. As well as our usual busking tricks, there were candle workshops, blow airplanes, rain sticks (see picture) and doodletops to investigate. 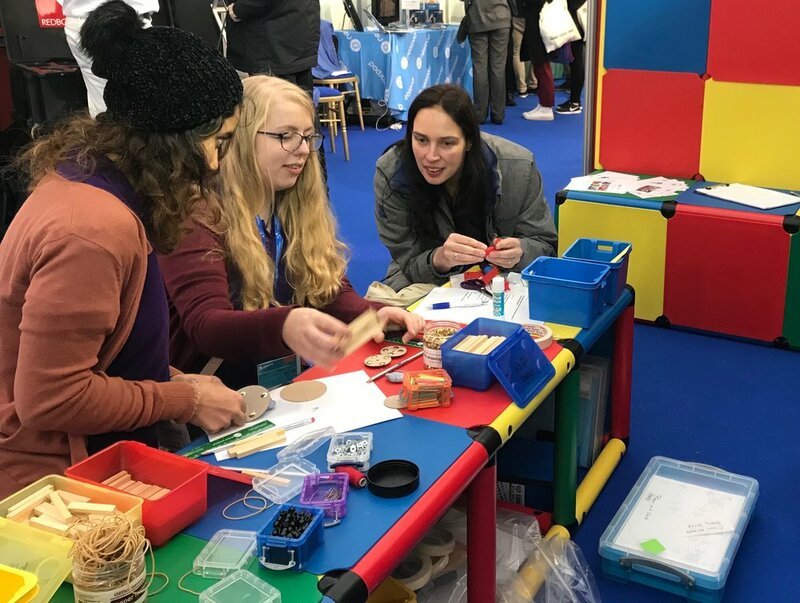 We had a great time at the ASE's Annual Conference in Liverpool with many visitors to our stand who enjoyed making things while chatting about how to get children to think and work scientifically. Our talks were all popular with each one getting double the expected number of delegates. Here you can see them exploring the umbragraph - a fun way to see how shadows develop during the day.. This year's conference is buzzing with a great variety of talks and exhibitions. We have a range of hands-on activities at our stand (C18) for all our visitors to try out. If you are attending, come along to chat to us and have a go - make a ballon buggy or a jumping bean or even dip a candle. We'd love to see you! Sorting things out was the order of the day last week as we visited several schools to do the "Sorting Things" workshop with them. This was on behalf of Urenco who support primary science in this way. 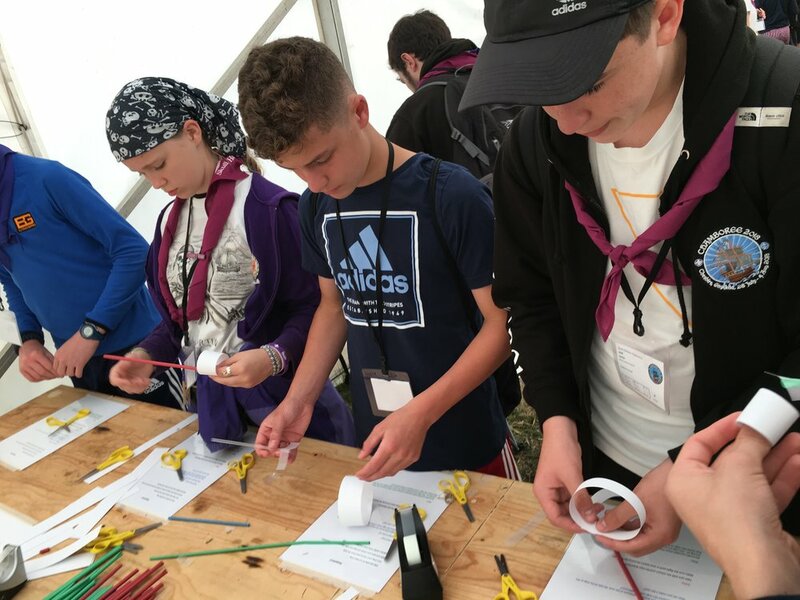 Not only did the pupils learn a lot about separation techniques, they also found out about Urenco and had done some of the work required to earn BSA Superstar status. We were delighted that the Association for Science Education has chosen to use a picture of us in action for the online brochure cover of its forthcoming Annual Conference. You can see it here - some teachers investigating Buggies at our stand at a previous conference. Above you can see what happened when they let go of their creations! We attended the Institute of Physics' INTERACT Conference this week where we were able to meet many other science outreach providers. It was very stimulating and interesting. Here's Martin explain some of our activities to other delegates.